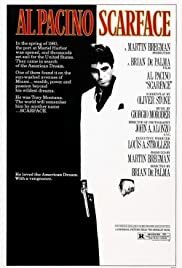 In 1980 Miami, a determined Cuban immigrant takes over a drug cartel while succumbing to greed. BEFORE: This is now day three of the Pacino run. Fun fact: while only the third cut received an R-rating (as opposed to an X-rating for the first two), the director, Brian De Palma, went ahead and released the original cut to theaters since the studio executives could not tell the difference between the cuts. AFTER: When it comes to crime films, I have very mixed feelings. I thoroughly enjoyed The Godfather but I could not stand Goodfellas.